Many people who want to pursue a career in nursing often start off working as a certified nursing assistant, or CNA. If you are thinking about becoming a CNA, then it is important to remember that this profession has its advantages and disadvantages. Below, you will find a list of the pros and cons of becoming a CNA. Many medical professions require that a person complete several years of training. However, you can complete CNA training in just four to six weeks. Not only is CNA training brief, but it is also more affordable than other programs. You may also be eligible for financial aid. People who want to become a CNA should be in fairly good shape because certified nursing assistants are on their feet most of their shift. They may also be required to do a lot of lifting and bending, which can take a toll on a person's body. You do not need to have a degree to become a CAN; you just need to possess a high school diploma or GED and complete the required training. After you complete the training, you will need to pass an examination. Additionally, most employers require that certified nursing assistants be at least 18 years old. Although working with patients can be rewarding, it can be very stressful at times. Patients can be physically and verbally abusive and CNAs may also be required to work long hours. Additionally, they may be required to work nights, weekends, and holidays. That is why many CNAs experience burnout. 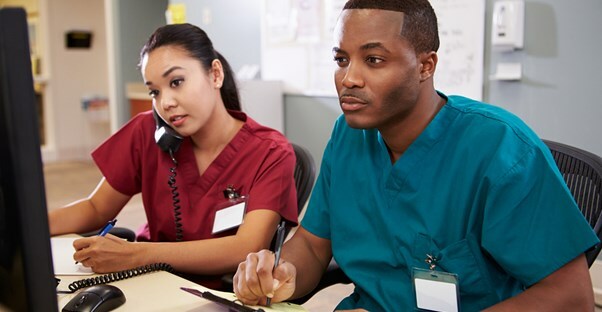 There is a high demand for skilled CNAs, and they can work in hospitals, nursing homes, retirement communities, or in the homes of their clients. CNAs are considered entry-level jobs. Like most other entry-level jobs, the pay is not that great. CNAs typically make between $23,000 and $30,000 per year. CNAs perform some of the same duties as nurses, such as taking vital signs. That is why the experience you get working as a CNA can prepare you for a career in nursing. Many employers will even pay for you to further your education. CNAs have little opportunity for advancement. If you want to move up to a higher position, then you will need to get extra training and education.